For many years, asbestos was mined on a large scale in South Africa. It was an important part of South Africa’s rich mineral resources. Regrettably, the asbestos mining industry did not adequately address the health hazards to workers and communities associated with asbestos. Consequently, Asbestos-Related Diseases are prevalent among miners and persons who lived in communities near mines and were environmentally exposed to asbestos. This is despite the fact that asbestos mining was banned in South Africa in 2001. The Asbestos Relief Trust arose from an out-of-court settlement, i.e. an agreement between several claimants who were ill with Asbestos-Related Diseases (ARD) and various companies that had owned asbestos mines/mills in different provinces of South Africa. Summons were initially issued out of the High Court of South Africa, Witwatersrand Local Division in December 2001. This was on behalf of two plaintiffs, Visser and Dippenaar, represented by Richard Spoor of the law firm Ntuli Noble & Spoor of Nelspruit, against the Griqualand Exploration and Finance Company (Gefco). The claimants were claiming damages arising from occupational and/or environmental exposure to asbestos. These summons were followed by several other summonses in 2002 against Gefco, General Mining Corporation (Gencor), Msauli, African Chrysotile Asbestos Limited (ACA) and Hanova Mining Holdings. During the progress of the case, in about September 2002, Gencor announced that it would seek authorization at a general meeting of its shareholders to unbundle companies within the Group. An application opposing the unbundling was brought by several claimants in October 2002. The aim of this application was to prevent Gencor from unbundling. It was feared that if Gencor unbundled, it would have a detrimental effect on the case. If the claimants were successful, they wanted to ensure that Gencor had the money to pay them out. Consequently, a settlement was reached with: Gencor, Gefco, ACA, Msauli and Hanova Mining Limited, on behalf of the claimants in the South African case and other interested parties. The unbundling of Gencor then went ahead. 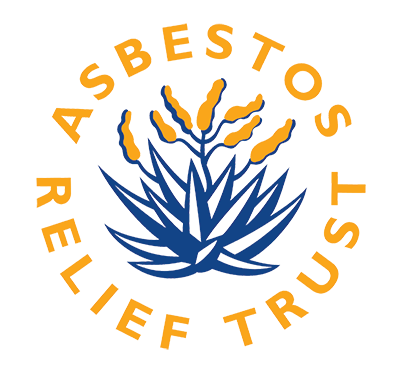 The Asbestos Relief Trust was formed as a result of this agreement – with its primary objective being to compensate current and future claimants who worked for or were environmentally exposed to asbestos from the operations of one of the above companies or their subsidiaries, and who had an asbestos-related disease. The Settlement Agreement was signed in March 2003 and the Trust registered in the same month. However the Trust only began operating end-June 2003, following the completion of the Gencor unbundling process, as stipulated in the settlement agreement. In addition, for the initial six months of operation commencing in June 2003, the Trust was not allowed to make any payments, other than interim payments made on the basis of their urgency to asbestos cancer claimants. This was stipulated to allow it time to establish and prepare itself to receive and pay out claims. Parallel to this case, several thousand South African claimants were in the process of concluding an action against a British company, Cape PLC. This was for damages arising from their exposure to asbestos whilst employed at South African asbestos mines owned by Cape PLC. Due to the nature of mining and labour practices in South Africa at the time, many Cape PLC claimants, represented by Leigh Day Solicitors of London, also worked at Gencor/Gefco owned mines. In October 2002, an application was heard in the High Court of Justice of England, Queen’s Bench Division, for the summons in the Cape PLC case to be amended to include Gencor as a defendant. This was granted. Subsequently an intervention application (in November) was brought in South Africa on behalf of Cape PLC claimants, to intervene in the unbundling application brought by the Gencor claimants. Essentially Cape PLC claimants also wanted to secure some monies from Gencor. Cape PLC claimants subsequently reached an agreement with Gencor. The terms were that Gencor contributed an amount to the total sum already agreed in settlement negotiations with Cape PLC. This would cover any compensation that could be claimed by Cape PLC claimants, who were also exposed to asbestos from Gencor/Gefco mines.